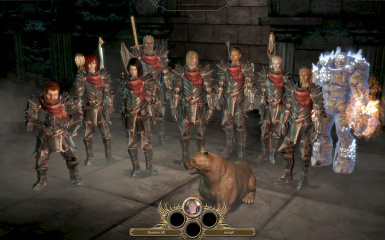 The Circle Reforged for Bethany's Circle robes. 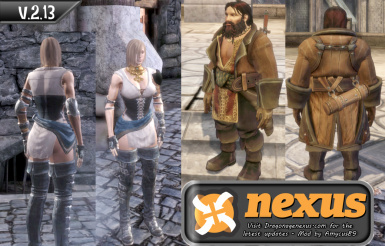 Pretty much all goes to EA/Bioware for their meshes and textures. 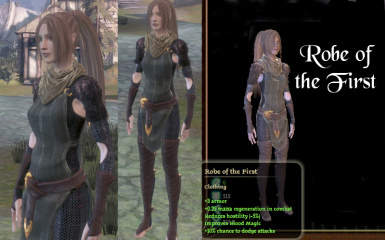 I just ripped it from DA2 and rigged it before exporting it to DA:O. 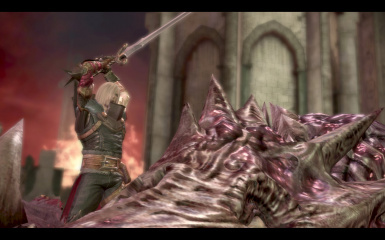 It should however also be noted that @veritrix saved me a lot of time by making the files for Merediths sword readable for the toolset. Credits should also be given to @ladyofpayne and @Darth Parametric regarding the ports from the DLC "Mark of the Assassin". @ladyofpayne provided the files and requested me to port them in the first place, and @Darth Parametric saved me from some really backbreaking work of sorting out all the files that otherwise where mixed all together with numerical names that didn't make any sense whatsoever. No small feat, I assure you. I spent weeks trying to do the same, an dstill didn't manage to find all the relevant files. 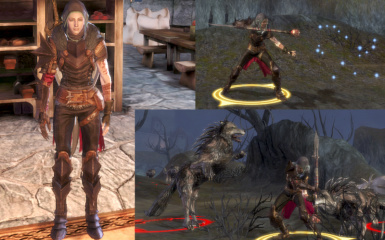 10)Isabella and varrics armor= All race and genders except qunari. 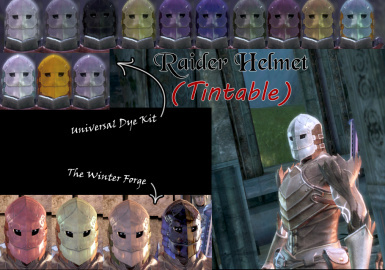 11)Raider armor=Helmet is for ALL races and genders, except golems and dogs. 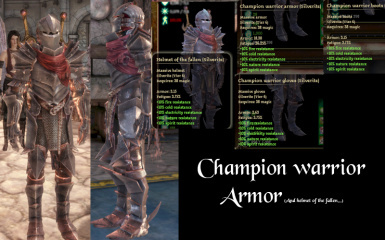 The rest of the armor is human male only. 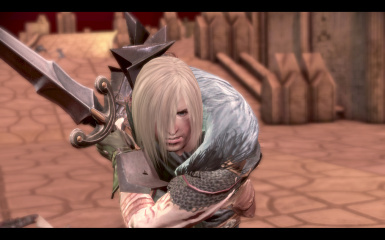 NOTE: This particular armor isn't finished yet, so don't be surprised if it looks weird while moving. The helmet is completely finished though. 15)Grey warden hood from Legacy. Since it seems that tmp7704 didn't want to add them, I did it with some help from prux. 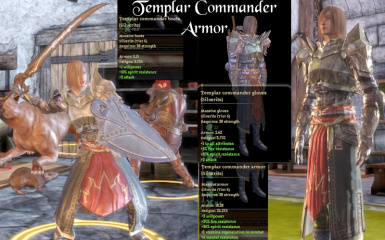 These should fit with the armors from tmp7704s mod here: http://social.bioware.com/project/4662/#details The hood is available to dwarves, humans and elves of all genders. 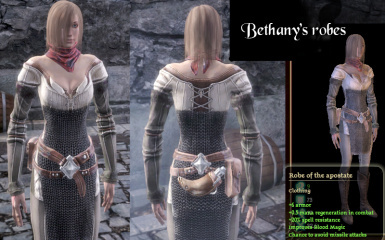 16) Bethany's circle robe= Human male and female, as well as elf female. 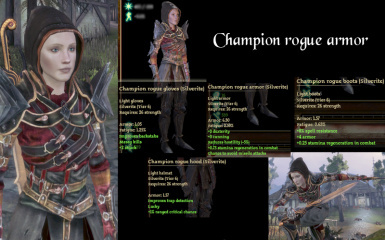 So if you try to equip the champion rogue armor to a male human, their body will turn invisible until you unequip the item once again. 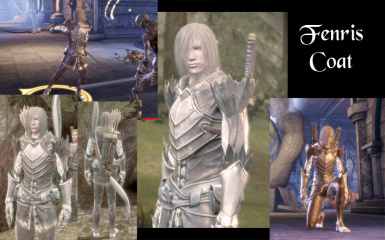 This mod will add ported armors from DA2 to DA:O.
I was actually planning to not do this and concentrate on other projects, but since I was asked to do a rigging tutorial not long ago I made this in the process, and thought I might as well release it. 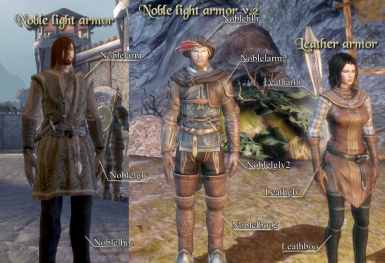 Note that I have just tested the armor in-game a few minutes, so there might be some issues with the weightpaint that I havn't noticed. Please be patient for updates, as I'm a bit busy in my real life at the moment. 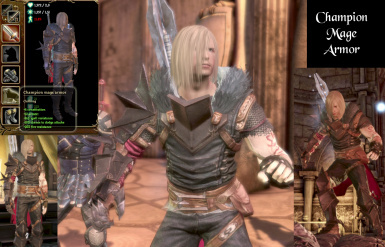 Download: Any DA2 retexture you wish of the already ported armors. place all the exported .dds files into your override folder. Download the .Dazip file. Take the Dazip and run it in your DAupdater/DAModder/whatever you prefer. Note that to actually add the armor to your inventory you will need the console enabled, and then use the code below. You might need to scroll down a little in your inventory to find it afterwards.